Notably one of the oldest domesticated breeds, Pharaoh Hound Dogs deserve their graceful name by all standards. This unusual-looking, ancient breed is an amazing companion, a wonderful addition to any household, and a truly physically stunning being. As their name suggests, they originate from Egypt, but they were introduced to the rest of the world in Malta, where they were brought by traders. They were successfully bred on that famed Mediterranean island for several thousand years to hunt rabbits, a challenge which they successfully accepted. Game hunting doesn’t have to be your primary reason for choosing a Pharaoh Hound as your pet. 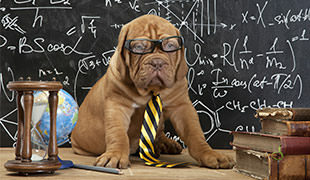 They are very skillful at many other things, and they’re excellent at doing what dogs do best –loving their family. They’re the perfect addition to a lot of different kinds of household, although their ideal human companions are active singles, families that have older children, experienced dog owners, and generally active individuals who love the outdoors. Pharaoh Hounds manage to do what not many dogs can – to have an emphatic knowledge of the “golden mean.” They’re playful, but not in an overpowering manner, and they’re affectionate without being clingy. Generally calm, Pharaoh Hounds grace every household with their ancient balance, and their intelligence is well-known among canine lovers of all kinds. Although they are generally sociable, Pharaoh Hounds can be a bit reserved with strangers. However, they are not good watchdogs and they shouldn’t be left alone too often as they crave for the feeling of togetherness and a tight family bond. 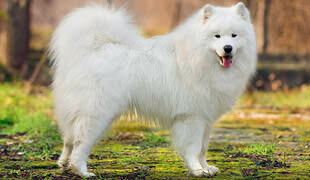 This breed has a slender, medium-sized frame, but they are very agile, athletic and energetic. They can easily live in apartments as long as they get a good amount of exercise on a daily basis. With a life span of 15 years, these pups don’t have a lot of health problems in general. Just make sure to take them to regular vet checks. Grooming these pooches is easy as pie! 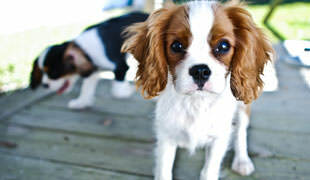 Occasionally brush their glossy, rich-colored coats and you and your pet are good to go. 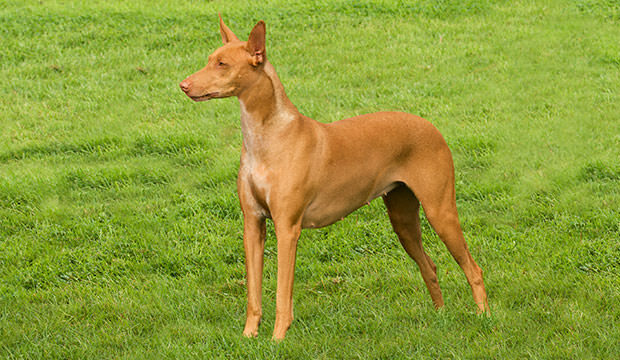 Known for their unusual, exotic look, Pharaoh Hound Dogs have clean-cut heads, oval-shaped eyes, long erect ears, and flesh colored noses, while their whole, bole-looking body is covered in a coat that ranges in shades from tan to red.